There is not much information available about the release dates of the cartridges, but it is known that the first 21 of them were released between 1976-1978 (by Fairchild) and last 5 around 1980 (after Zircon International had bought the rights to the console). There is also a homebrew Pac-Man-like game released on 2009 making the total number of known games to 27 (not including the built in games). 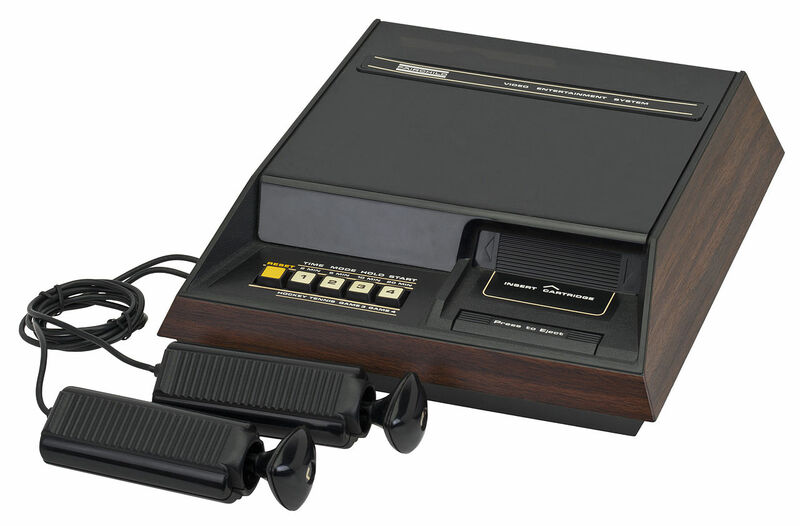 Around the year 1979 Zircon International bought the rights (as mentioned before) and released redesigned version of the console called: Channel F System II. Even though, Channel F was never really successful, mostly because of the Atari 2600 console released on the next year. In my next post I will only write about Channel F games (worth to play) that were released between 1976-1978 (by Fairchild) and I will come back to the games released after 1980 (by Zircon) when the time is chronologically right.